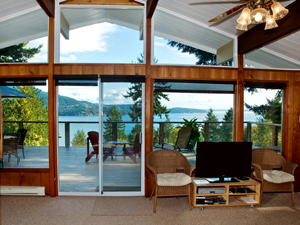 Do you own a vacation rental property on Bowen Island? Are you maximizing your potential? Jan is available to consult regarding design concept, furnishings, web sites, systems, and all other information that attributes to a successful vacation rental property. Give Jan a call for her sage interior design advice and vacation rental expertise, or send her an email for her rate sheet and list of services. 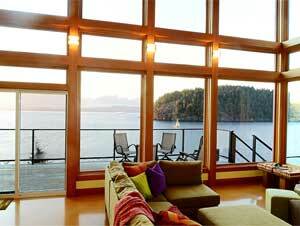 Jan Stevens has managed vacation rental properties for over a decade. As both a rental property owner herself and manager of others' properties, Jan has the understanding and skills necessary to not only increase bookings and satisfy vacationers, but build successful partnerships with property owning clients. Jan shares her expertise as a faculty member of Matt Landau’s Vacation Rental Marketing Blog, an international association of vacation rental managers and owners fine tuning their entrepreneurial skills, focusing on providing guests the best experience (www.vrmb.com/fellows). As a long-time part-time resident of Bowen Island and as part of the Economic Development Steering Committee in charge of Bowen Island's new brand, Jan has a deep understanding not only of the business of vacation rentals, but of the economic environment on Bowen Island and the lower mainland and how it relates to local tourism. Jan has over 30 years of interior design experience, having helped hundred of clients create spaces to live in and love. 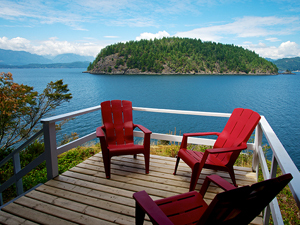 Since 2004, Jan has joined her residential expertise with vacation rental design. Combining timeless design principles with practical and durable design products has more than doubled vacation rental incomes for vacation rental properties. Jan's goal is to ensure that each vacation rental meets the high standards of design aesthetics so that the vacationers' getaway experience is beautiful inside and out, and so that her clients benefit from returning guests. Learn more about Jan's design skills and past projects at www.janstevensdesign.com.